The last panel looks to Snyder's future. 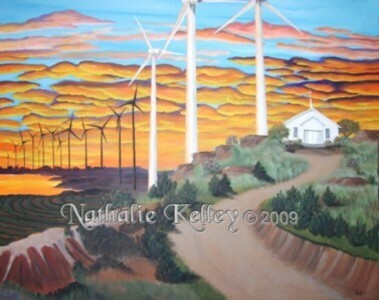 The wind turbines have been a boost to the West Texas economy. Even though the church is an older church located in Fluvana, I put it with the wind turbines as a reminder that we need God. He is the same yesterday, today, and forever.